This recipe is one that I grew up with (thanks, Mom!). It’s simple, really, and is one of those dishes that reminds me of summer. I served this the other night with some baked chicken, though it goes with pretty much anything. 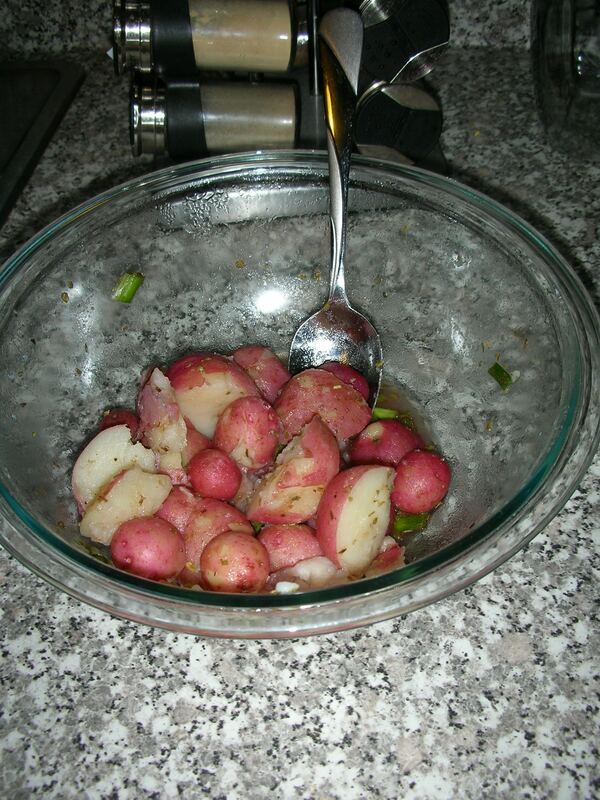 For this, I used the red potatoes that came with this week’s CSA. * Please note: my measurements are a little vague, simply because up until blogging I never really measured when making this dish. Rather, I relied on my own personal taste. This time around, I measured a bit and included what I thought would be the best crowd-pleaser. Cut potatoes into halves, if needed. Boil in a large saucepan until cooked. Drain & put into large bowl. Slice scallions & add to bowl. Add remaining ingredients & mix to combine. 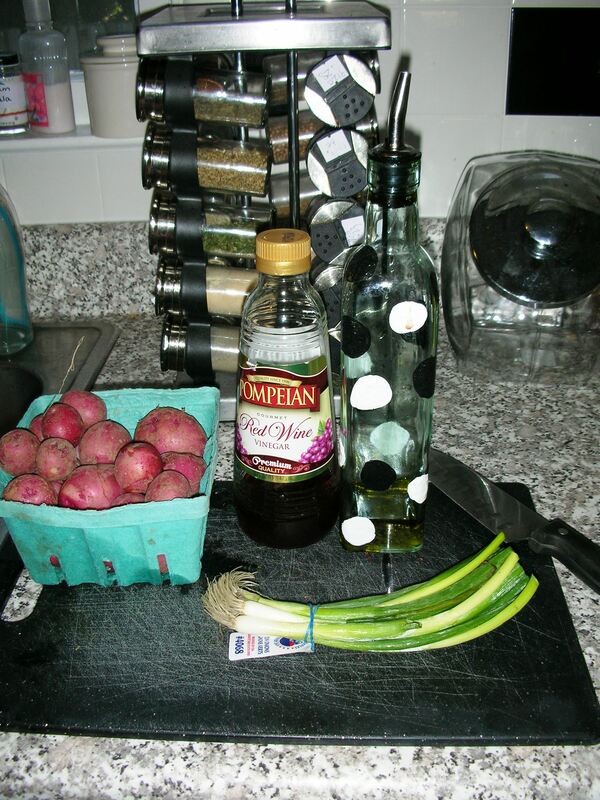 Do a taste test to determine if you need anymore vinegar, oil or spices. Chill for at least a 1/2 hour. I almost forgot to snap a picture before eating it! There’s a few spoonfuls on my dinner plate, set aside. This salad is good warm, or chilled (I prefer a slight chill to it). Enjoy!